Can all teachers become master teachers? Dr. Robyn Jackson thinks so, provided they follow some key guiding principles outlined in her book, Never Work Harder Than Your Students. This is a popular work with those whose classrooms reflect student-centered, rigorous instruction, an approach familiar to AVID site teams. 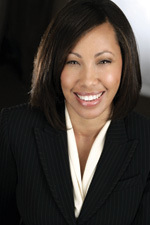 An award-winning educator, Robyn Jackson is the founder and CEO of Mindsteps Inc. Her organization works with school systems and non-profits to remove institutional barriers to equity, access, and rigor for all students, particularly students of color who are traditionally under-represented in advanced courses. In her work with teachers, administrators, schools, and non-profit organizations, Dr. Jackson focuses on seven key principles of education rather than isolated strategies and “canned” approaches. Using these principles, she helps teachers and school leaders discover for themselves how best to meet the challenges they face. We are excited to have Dr. Jackson as the keynote speaker at AVID’s National Conference in December. As someone trying to help all educators become master teachers to best serve their students, her vision is closely aligned with AVID’s mission to prepare all students for college readiness and success. Dr. Jackson has a strong presence on the internet and on YouTube. One of my favorite clips is her discussion on YouTube, “Responding to Failure,” about her challenge with a difficult course and teacher in graduate school. As I interviewed her, I was impressed with her understanding of effective classroom practices and philosophies as well as her belief in the potential of both students and teachers. Dr. Robyn JacksonYou titled your book Never Work Harder Than Your Students. Tell us why and how it captures the essence of your work. I chose that title because my book is based on seven principles of effective instruction I follow. Getting students to work hard is the one principle that resonates the most, but it is also the hardest to implement. The solution to most teachers is to work harder and harder with diminishing returns. However, it’s not about you working harder, it’s about getting your students to work harder. You have to design instruction differently if you want students to do the cognitive heavy lifting. It’s not about me the teacher; it’s about helping the kids learn how to do the work themselves. To do that, we need to be more intentional. We’re not planning in a way that allows us to craft a learning experience that helps students grapple with material in a highly rigorous way. One of the things I am trying to get people to understand is that we need to make our instruction more deliberate every day. Too few teachers are practicing that. Instead, it’s all about hitting the standards and covering the curriculum. One reason we have low test scores is that we’re covering the curriculum but we’re not teaching students how to think. In AVID, for both teachers and students, we prize inquiry and collaboration. How do these elements fit into you your work? I think that’s what teaching is really all about, honing your practice. We have to continually examine what we are doing. As a teacher, it is a key breakthrough to realize that you are not the sole arbiter of knowledge. We need to collaborate more with our colleagues, and I think we need to be fostering inquiry and collaboration more for kids. The job market has changed. It used to be, I could sit alone in a cubicle and do work by myself, but nowadays, to succeed you must be an effective collaborator. However, in our classrooms we often don’t structure collaboration. Everyone is working on their own worksheet for their own grade. And inquiry can be scary for some teachers because it means there’s messiness out there – it’s not all easy black and white, with one right answer. However, I worry we’re not doing enough of that. Even when I go into classes that are said to be inquiry-based, I see “Step one, Step two,” it’s never truly inquiry-based. And, it’s because we’re asking teachers to implement strategies that we haven’t modeled for them. In your work, you reflect on teachers who made you feel smart. Why is this important for our students? What research lies behind this? For your keynote at National Conference, what can we expect? Participants can expect to hear much of my overarching message, primarily that rigor is important, but if you want kids to think in rigorous ways, you need to teach differently. I try to help teachers develop an understanding of what rigor is because it is often talked about but poorly defined. One of my messages is that ALL kids, not just those at the top academically, deserve rigorous instruction, and so it’s important to talk to teachers about how they can achieve this. It can be a scary proposition, but we can do it. *For the complete interview, AVID’s upcoming issue of Access will be online and in print in October.